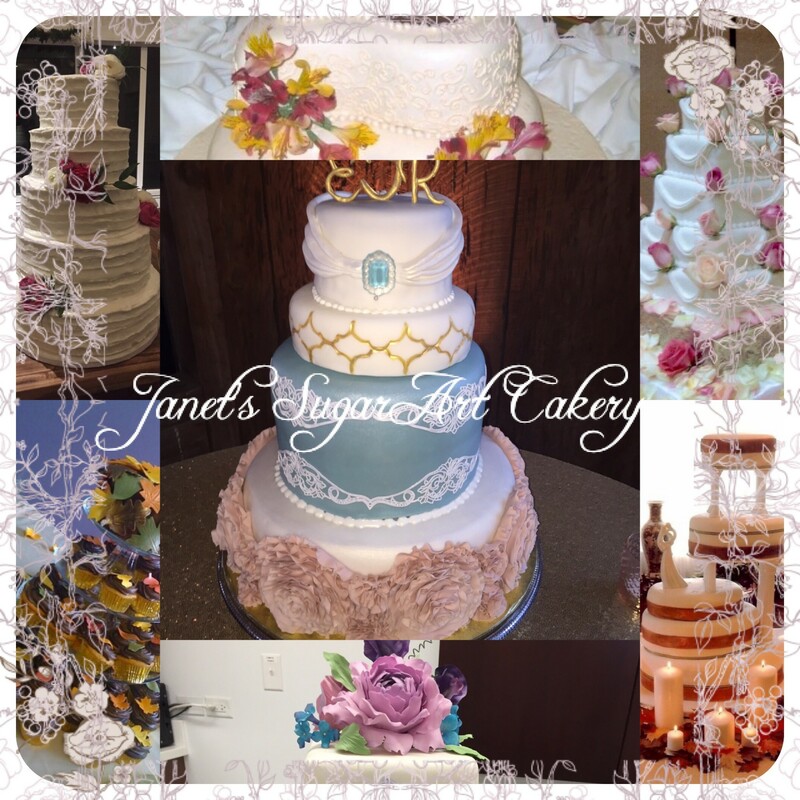 Janet’s Sugar Art Cakery is a home-based business in the Richmond VA metropolitan area. We customize designer wedding cakes, cookies, cake pops, and cupcakes to fit your style. We offer first anniversary cakes to orders meeting minimal requirements. Other discounts available. We offer consultations with private tastings. Styles include: Traditional Buttercream, Fondant, Gum Paste flowers, Rustic, Naked Cakes, Pop Culture, etc. Please email jancakery@yahoo.com for pricing and flavor listings.